Hui Lau Shan wait for you everywhere in Hong Kong. It was past noon when I got to Tsim Sha Tsui. It was already hot.Fortunately, I found Hui Lau Shan (許留山) in front of Star ferry pier. Hui Lau Shan is everywhere in Hong Kong. 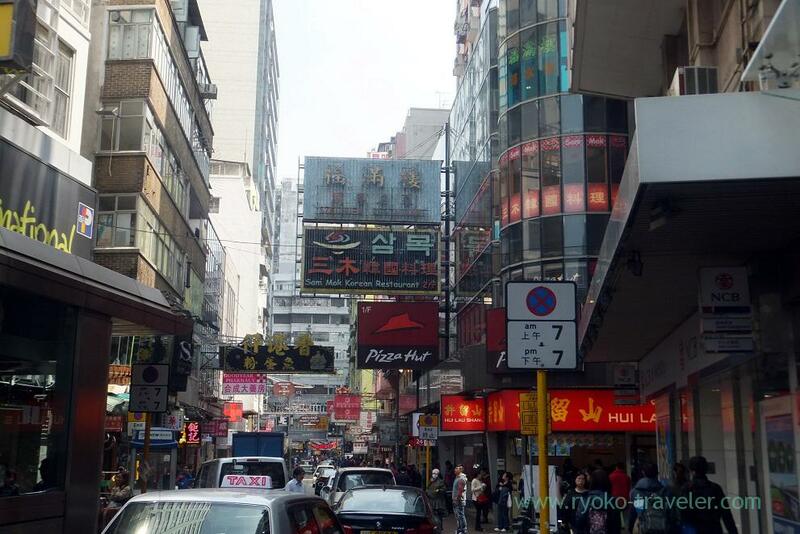 Though Hui Lau Shan is very popular among people, they are really everywhere. So, each shops don’t have much people. They sell foods and drinks at the entrance. 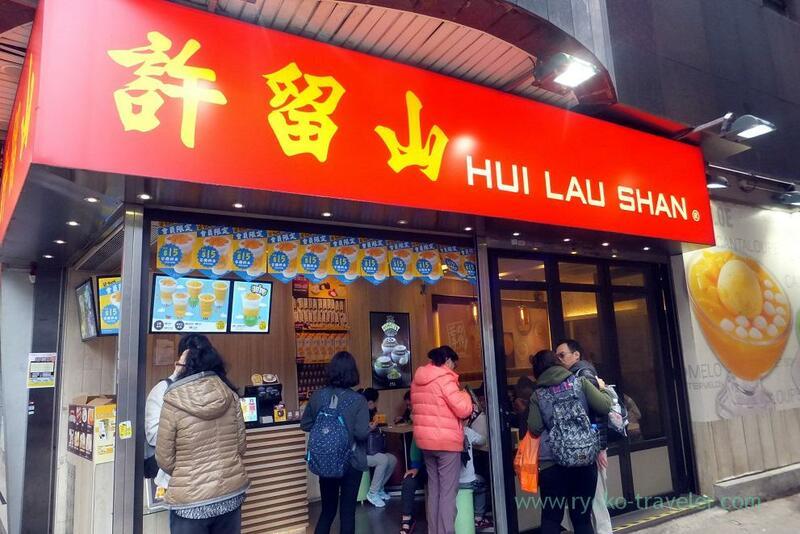 Many people visit Hui Lau Shan to take away and sometimes there are lines for buying. But there are mostly some vacant seats in the shop. I wanted to get cool and eat something cold thing, but I was full because of yum cha and egg tart. So, I ordered a liquid food. Mango puree ! And plenty of tapioca was at the bottom of the glass ! It was cold and tasty ! 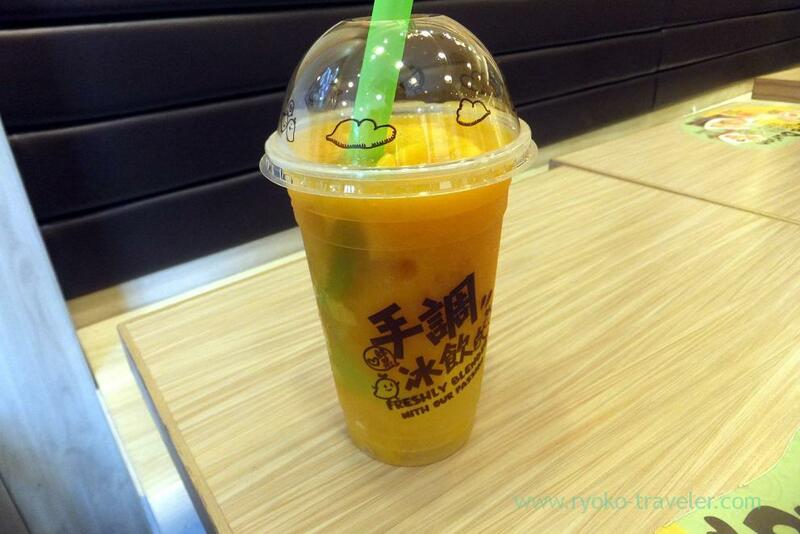 By the way, I bought a drink at Hui Lau Shan close to Milado mansion the previous day. And I drunk it in Kowlook park. 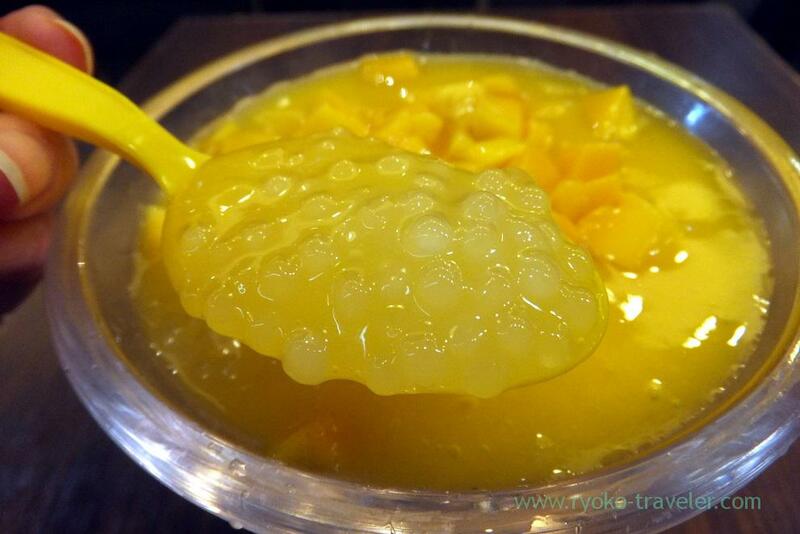 I want to eat dessert made of swallows’ nest and Chinese medicine next time. I heard all dessert and drinks can be taken away. 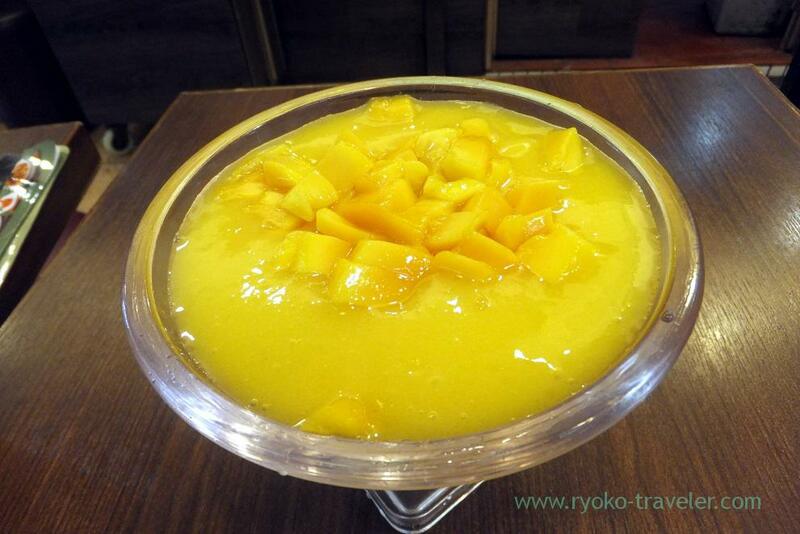 Many dessert shops in Hong Kong are open until late at night. Also Hui Lau Shan, too. They are open until around 11:00 p.m. But they are open from 11:00 – 12:00 a.m. Branches list of Hui Lau Shan is here.